The prohecy of light is about to come true! DR. Luis Ortiz Oscoy specialized in reconstructive plastic surgery for the last 30 years. In the last few years he has dedicated himself to the study of Neuroscience and cerebral development, the Psychological awakening of the conscience and to the study of comparable religions. He has gathered abundant information regarding these themes. He has attended numerous courses in monasteries of Nepal, Tibet and India. He has been initiated in the study of shamanism in Mexico, USA and in the Amazon jungle. Along with a well known group of Psychologists and Therapists he imparts conferences and programs regarding Meditation, the awakening of the conscience and cerebral development. He has given innumerable conferences all over Mexico and in other countries of the world. Meditating is multidimensional and it is associated with high levels of psychological relaxation that would optimize the efficiency of innumerable intrinsic mechanisms that have to do with the internal repair of the body. Meditation is used to alleviate stress, anxiety and other physical symptoms, it helps to maintain good health and it prolongs useful life. Neurophysiologic studies have proven that the Meditation Gamma can change the working patterns of the brain. It helps to reach unusual levels of consciousness thanks to the synchronicity of the brain hemispheres and the creation of new neural connections. The Meditation Gamma, along with different sounds and vibrations, would transport you to an inter-dimensional state of light, peace and infinite love. Go to the following link for a copy of Dr. Oscoy's words used in his Gamma Meditation as Translated by Maria A. Hein. Maria invites you to enjoy listening to Dr. Oscoys gamma meditation. and see what remarkable changes are claimed as your minds ability to move its own mountains! 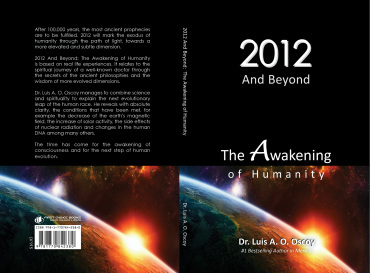 "2012 and Beyond: The Awakening of Humanity: The prophecy of light is about to come true!" Call Mrs. Hein if you live on Vancouver Island, BC go to our Contact page for more information as to how to receive a book. "Raise your Vibrational Experience to a higher Vibration"
Enjoy a new way to improve your minds promotion of its own upbeat assurance of ones minds claim to a new care for ones health to claim back your minds lights on management. 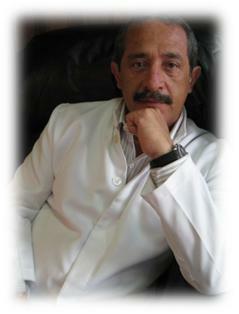 Dr. Luis Oscoy is an acclaimed neurosurgeon and author and resides in Mexico. Author of the Book "The Magdalene's Fable: The Claim for the Power of the Forbidden Fruit"
The prophecy of the story of the earths cataclysm to have been the story of the first assurance of the demand for the earths appropriate distillation of its referral to its categorical concern for the magnetic components of the earths constructive enforcement of the suns evaporative claim to the 2012 phenomenon would have us concerned with Dr. Oscoys research. To have us shifting our demand for our uncertainty as to the phenomenon to have been the claim in history as to the reverberations of the suns extinction of its own external referral to its own examination as the book to have been the enthusiasm of my own concern for the earth's cataclysm to have inferred in my own research as the force in nature. To have us assured of the God Sources indemnity toward the appropriate assurance of our worlds historical concern for the modern day advancement of the forces of nature. concerned for the God Sources appeasement of those not willing to inform their own privilege as to the appropriate dislodgement of their former condemnation of those prepared to infer in the mightiest award to humanities dislodgment of its harshest referral to the world's oldest enthusiasm for the outermost external distinction of the common fear as to the worlds deportment capacity of its own referral to its external force to have been the God Sources assurance of each and every soul to have been the higher powers concern. to have been displaced as though our common element in our concern for humanities outermost conviction as to its alarming distributive categories for the God Sources inference in humanities display of atrophies. Would have Dr. Oscoys book remove from our stories worry an outermost assurance of the higher powers concern for the common ground for the worlds new world order. To have us wondering as to the achievement of Dr. Oscoys research to have been his own journey toward an explainable referral to the new world order to have us concerned with the assessment of the procedural concern for the 2012 phenomenon to have been the worlds historical reference. 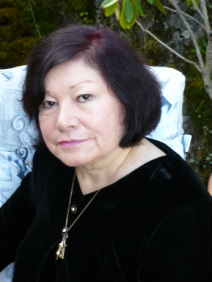 Flora McLaren is the Author of the Book "The Magdalene's Fable: The Claim for the Power of the Forbidden Fruit" the untold story as disbursed by Sonanda: the Order of the Blue Star. has sold a quarter million copies in Mexico and is one of Dr. Oscoy's best selling books along with his book "The Questions of the Soul." And discover the naked truth as to what Dr. Oscoy is saying about what the 2012 Phenomenon is truly about!